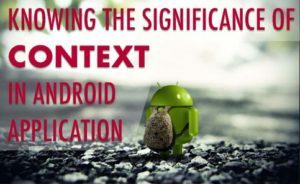 The term context is a very important component for a developer to understand due to its wide usage in Android Application development. 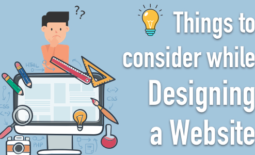 Each and every developer is aware about the term and widely uses that also. It is like next to important task to solve context related error sometimes for new programmers while developing an Android Application. That creates requirement for anyone to understand the problem thoroughly to get easy solutions which creates a need to understand the context. In simple words, context is an interface that helps to provide global information to the application environment. There are many different operations in any application and it includes receiving intents, broadcasting, launching activities etc. Context provides interface to all application specific resources. Android system provides the implementation to this abstract class. We can understand the Context more by understanding its usage. Context is widely used in the Android Application Development when the information or data is required about the application activities. Many a times the developer gets confused about the proper usage and selection of the context. It creates real difficulty for the developer. 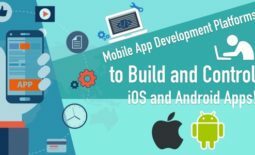 A developer can choose wisely the one which is best for the application among the different types of contexts. The activity context is mainly used in the creation of an object which has lifecycle attached with an activity. Thus, the context has its availability in activity and it gets different data through different activities. 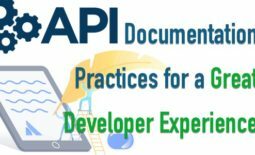 As a general rule it is a more beneficial for a developer to use activity context but a developer can use other contexts also if reasons may suffice the conditions to use them. Application context is used where the lifecycle is attached with an application. It gets its access through the different applications. This context is a better choice for the creation of singleton object. The drawback of using activity context is the leakage of data at this place and thus it makes application context the best choice. This is also an application context and it has a similar usage like application context. The availability of get context is through getContext( ) method. · It is advisable to not to use this context each and every time as this is not a complete context. · Sometimes it creates memory leaks also in the cases when something is created by the calls and everything flushes out in the process of removing collected garbage. · It does not support each and every activity so many operations may fail and especially when it is related to GUI. A developer uses the best suitable context as per the best need still there are few golden rules. By following these rules a developer can fetch maximum benefit and can avoid the later troubles also. · If the reference is directly not extended beyond the lifecycle then the developer can directly hold that. · The developer should use the context that is directly available as an enclosing component. This article provides the thorough Understanding of Context in Android Application. The different aspects of context like basic idea, how to and when to use it, and different types are also covered. Few tips are also discussed that can prove very beneficial to the developer and saves from the future problems also. Great way to describe the significance of context in Android Development. Thanks for sharing a useful information.